The NiceLabel PocketSDK (software development kit) enables software publishers to integrate professional bar code and RFID smart label printing into their mobile software product. NiceLabel PocketSDK has all of the label design functionality of NiceLabel Pro and includes deployment rights for the easy-to-distribute Pocket NiceLabel Engine that is embedded in the software publisher’s application for Windows Mobile devices. Pocket NiceLabel Engine is a set of Microsoft.NET Compact Framework Assemblies that expose programmatic interfaces to 3rd party applications. The .NET Assembly interfaces include the same mobile label printing components as Pocket NiceLabel. With the NiceLabel PocketSDK, there is no need to manually code label templates in the thermal printer’s native language. The NiceLabel desktop label designer enables graphical design of your label template. Simply export the label for the mobile computer and let NiceLabel generate the native printer code. 1. NiceLabel PocketSDK adds a reference to the NiceLabel print engine in your development project. 2. When you compile the project for deployment, the NiceLabel PocketSDK runtime Assemblies are seamlessly added to your installer. 3. Simply install the main application on the target device and label printing is installed automatically. 4. NiceLabel PocketSDK enables mobile applications to control label printing functions to thermal label printers. Your application never communicates with the input/output ports on the mobile computer. Simple, standardized API calls to the NiceLabel Pocket Engine allow the mobile application to print to a thermal label printer via TCP/IP, Bluetooth and COM (serial) ports. In addition to printing to a thermal printer directly, NiceLabel PocketSDK supports the distributed (print server) printing method. The print engine creates a .JOB file with specific label printing instructions that are sent to a server where NiceWatch is running. The NiceWatch integration middleware module executes the instructions from the .JOB file and enables label printing to any printer on your network, including office printers. The NiceLabel PocketSDK becomes a mobile client to the NiceWatch centralized Print Server. NiceLabel PocketSDK components include a CD-ROM, hardware key, documentation and print engine software key. • NiceLabel PocketSDK distribution: Specific files to install and run Pocket NiceLabel Engine embedded within another application or system. Distribution rights are determined by the included license agreement. 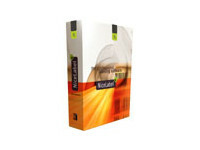 • NiceLabel Pro: The advanced label designer for professional bar code and RFID labeling. • Documentation: Pocket NiceLabel Programming Guide, NiceLabel PocketSDK User Guide. • Support package: Programming components and samples for mobile application developers. • Unit based licensing: Pocket NiceLabel Engine is activated with a software key supplied by software vendor. • Unlimited licensing model: The developer purchases annual distribution rights. No client activation is necessary. NiceLabel PocketSDK is the right tool for integrating bar code and RFID label design and printing with thermal printer support into 3rd party software applications for Windows Mobile devices.